This is a very interesting dish (in my opinion). It was recommended by our Chinese friend living in Estonia. 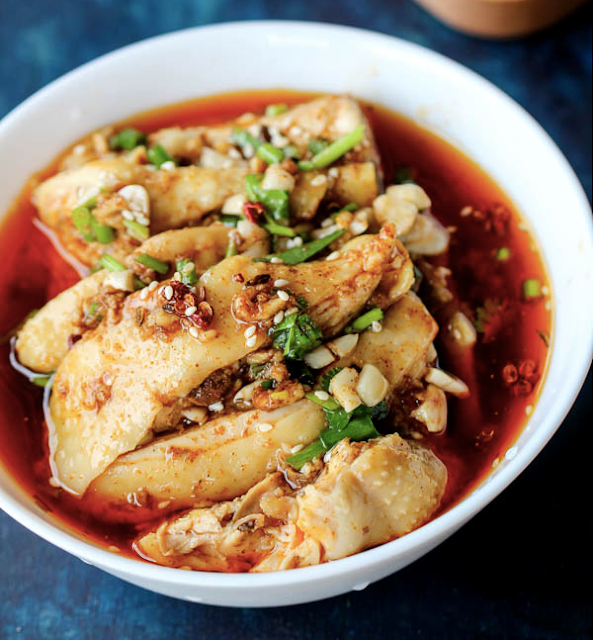 It is originally a Sichuan dish. And this photo is by Elaine who lives in China now and grew up in Sichuan province. During her early childhood; she had two great cooks around: her mother and her grandmother. Grown up, she travelled around China and she enjoyed the yummy dishes from many different cuisines. You can find the step by step photos and instructions on how to prepare this dish. Our Italian friend Lorenzo and my husband also like this dish.